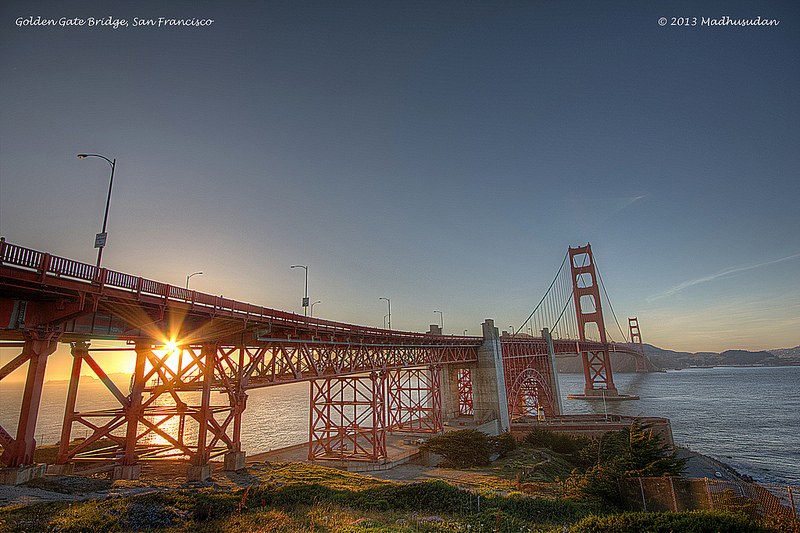 A HDR image of sunset at Golden Gate Bridge,San Francisco. Golden Gate Bridge is possibly the most beautiful and the most photographed bridge in the world. < Life in the Fast lane..